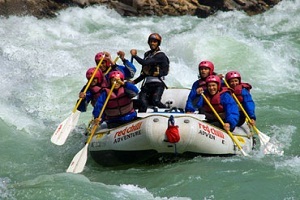 To raft on the river is one of the most exciting and thrilling experience.In old times, our ancestor used to use the floating framework made of planks tied together, as a mean of transport.Today it has achieved a form adventure sports. 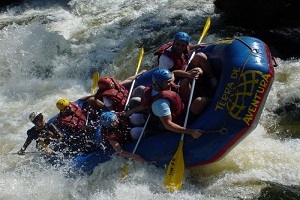 This sport came in existence in 1982 and today its highly explored here. 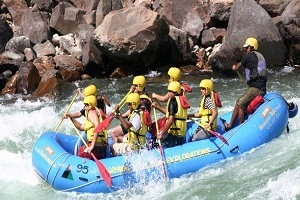 Our company provide you some fantastic trips in Holy Ganges with the international safety gears.Our guides are well trained in rescue operations (CPR) and have good command over spoken English. We have wide range of following equipments – inflatable rafts, personal floating devices, helmet, ropes, carabineer, flip-line and life line around the boat.